We offer a comprehensive range of HDPE Mono Filament Filter Cloth, which is widely used in manufacturing of all types of tea sieves and strainers. These fabrics are used in filtration of different chemicals and pulp in sugar, paper and various chemical industries. These are also used in tube-well and hand pumps for separating water and sand. Bharat Monofilament & Amp; Textile Pvt. Ltd.
Anti-Insect MeshInfiniti Techtex HDPE woven anti-insect mesh is ideal for protection of crops against insects. When attached to sides and roofs of greenhouses, they provide essential barrier between the crops and various harmful insects. We offer a comprehensive range of HDPE MONO Filament Filter Fabric, which is widely used in manufacturing of all types of Tea Sieves and strainers. 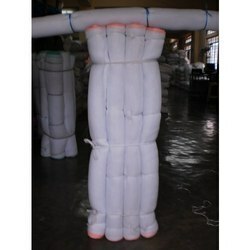 These fabrics are used in filteration of different chemicals and pulp in Sugar, paper and various chemical industries. These are also used in Tube well and Hand pumps for separating water and sand. Usage/Application: Air Conditioner dust mesh, Air Conditioner Filter, Air Cooler Filter etc. We offer an exclusive range of HDPE filter cloth. We manufacture and supply the best quality HDPE Woven Fabric Filter Cloth that is manufactured using best quality material. It is the net in the form of fabric primarily used for the purpose of wet filtration in industries like textile and spinning, chemical, printing, rubber & various others. These HDPE Filter Fabrics are made from 10 mesh to 150 mesh. 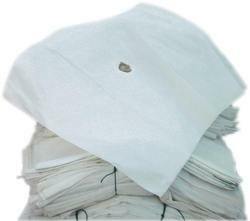 We can offer these filter cloth in square weave and twill weave we make these fabrics upto maximum weight of 450 gms.